For its first album on the ATMA Classique label, the Canadian Guitar Quartet pairs works by contemporary composers Renaud Côté-Giguère, Patrick Roux, Hans Brüderl and Christine Donkin with Vivaldi’s Concerto R.V. 531 in an arrangement for four guitars by Bruno Roussel. 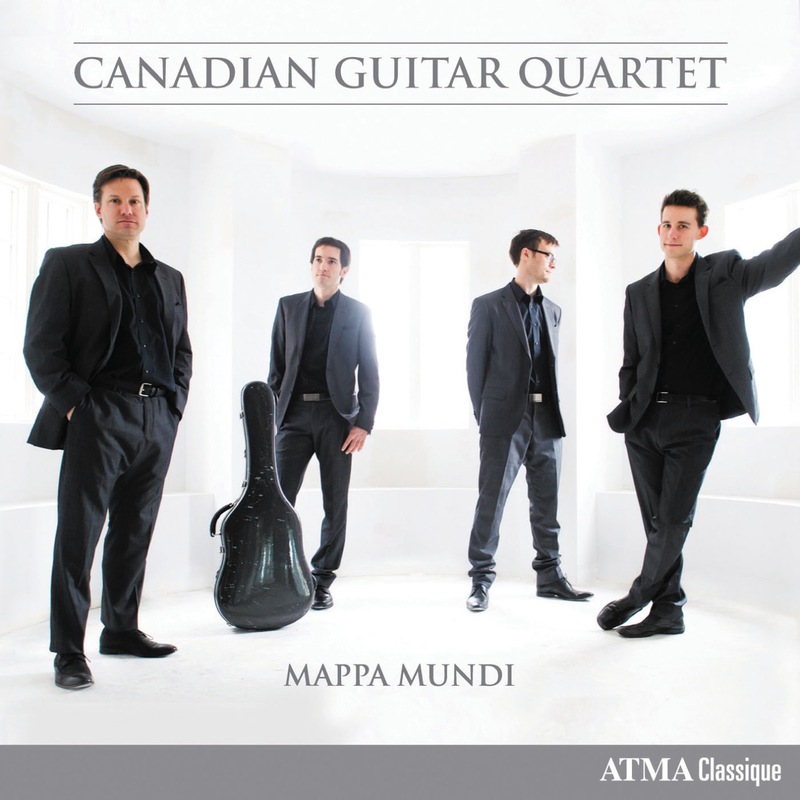 Since its debut in 1999, the Canadian Guitar Quartet has toured extensively in North and South America. Their concerts in some of Canada’s most prestigious halls, including the Winspear Centre, the Palais Montcalm, the Glenn Gould Studio, and the National Gallery of Canada, as well as performances at such events as the annual convention of the Guitar Foundation of America, Yale’s Guitar Extravaganza, and the Norfolk and Ottawa chamber music festivals, have built an international reputation for the Quartet. 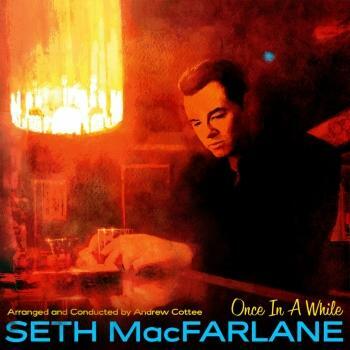 Since its debut in 1999, the Canadian Guitar Quartet has toured extensively in North and South America, from one standing ovation to the next, establishing a reputation as one of the finest guitar ensembles in the world. The CGQ has appeared with orchestra across Canada, and has recorded three critically acclaimed CDs. The quartet has been broadcast on both CBC and Radio-Canada, has had a special performance feature on Bravo! Television, was featured in the webcast at Chicago’s Northwestern University, on CBC’s overseas networks, and in various international magazines. The CGQ’s first concert at the 92Street Y in New York, part of the Art of the Guitar series, was extremely well received. 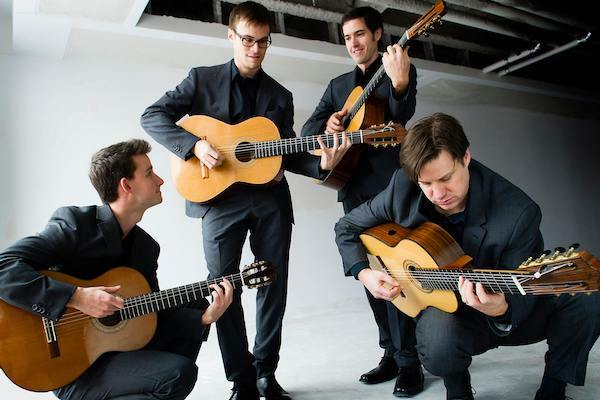 Don Witter Jr., of the New York Classical Guitar Society, wrote: “The Canadian Guitar Quartet made one of the greatest New York City Debuts of any artistic ensemble in decades … STUNNING !!!”. Concerts in some of Canada’s most prestigious concert halls, such as the Winspear Center, the Palais Montcalm, the Glenn Gould Studio, and National Gallery of Canada, as well as their performances in seminal events such as the Guitar Foundation of America’s annual convention, Yale’s Guitar Extravaganza, the Norfolk and Ottawa chamber music festivals, have allowed the Canadian Guitar Quartet to develop an international reputation. The mix of dynamic original music and classical masterpieces make a CGQ concert an unforgettable experience.